MoPar ring in sterling silver for ladies. RPM Jewellery. 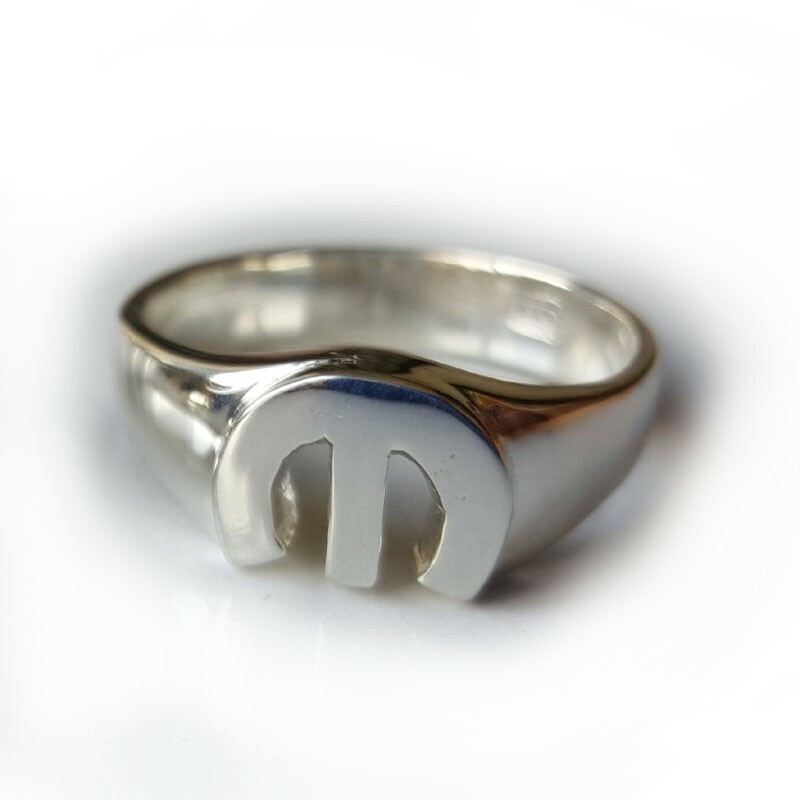 MoPar "M" Ring crafted from Solid Sterling Silver with a raised logo. Also available with stones set into the M. Can be created in gold or platinum. Made in Australia. Delicate MoPar 'M' Ring made and designed in Australia from Solid Sterling Silver or other precious metals with the raised "M" logo. Shown here in Sterling Silver our MoPar ring is also available in 9ct Yellow, White or Rose Gold or alternatively Platinum. 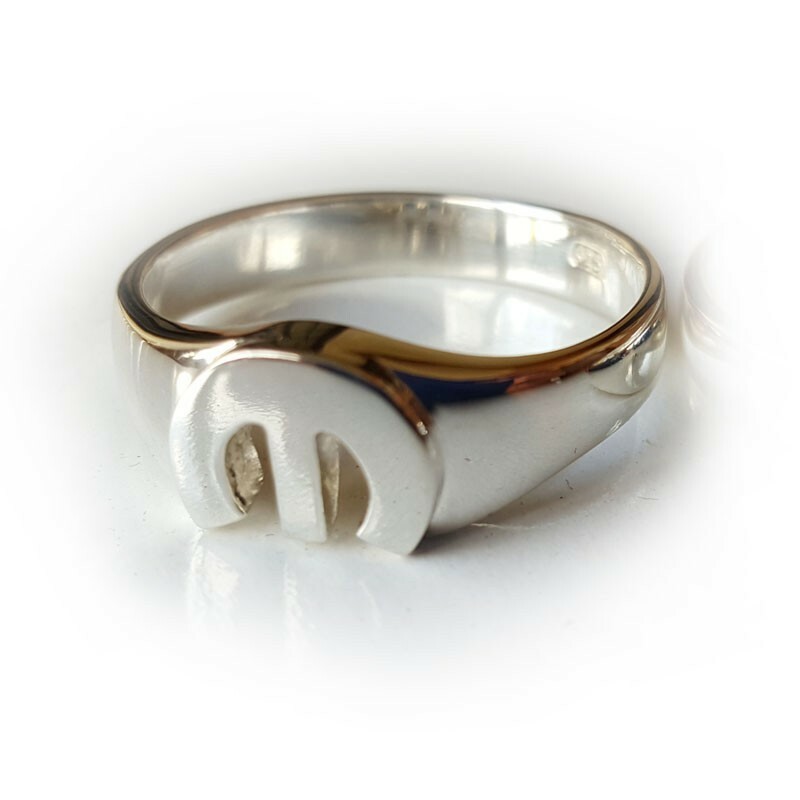 Please contact us for pricing in other precious metals and advise of the caratage that you are interested in. Each ring is individually sized and made to order so please advise of the size you need. We typically have a range in stock too so turnaround time is around 10 days. A matching MoPar Pendant is also available in our range and earrings too.